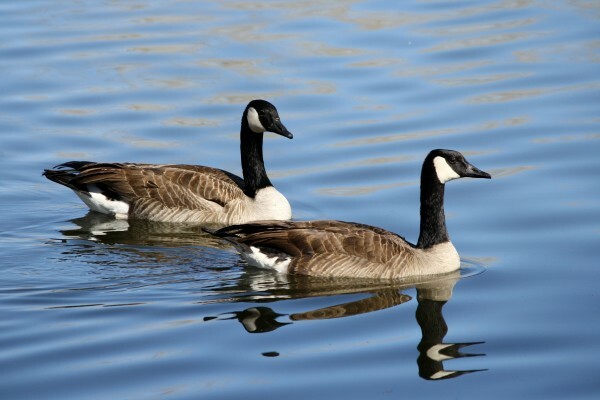 Free high resolution photo of a pair of Canadian geese swimming on a lake. The sky was a brilliant blue, and reflected on the water it gives the water a beautiful blue color. You can see the reflections of the geese in the water. Free picture for any use.